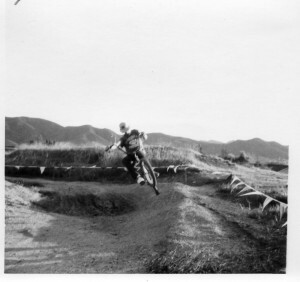 If you are interested in becoming part of a team to bring a pump track to Thousand Oaks, please get in touch with us at volunteer@corbamtb.com . Brand Motorway in the City of Glendale’s Verdugo Mountains will be closed on Sunday, May 1st from 5 a.m. to 1 p.m. The first annual “Run the Verdugos” 10k trail run will take place there. 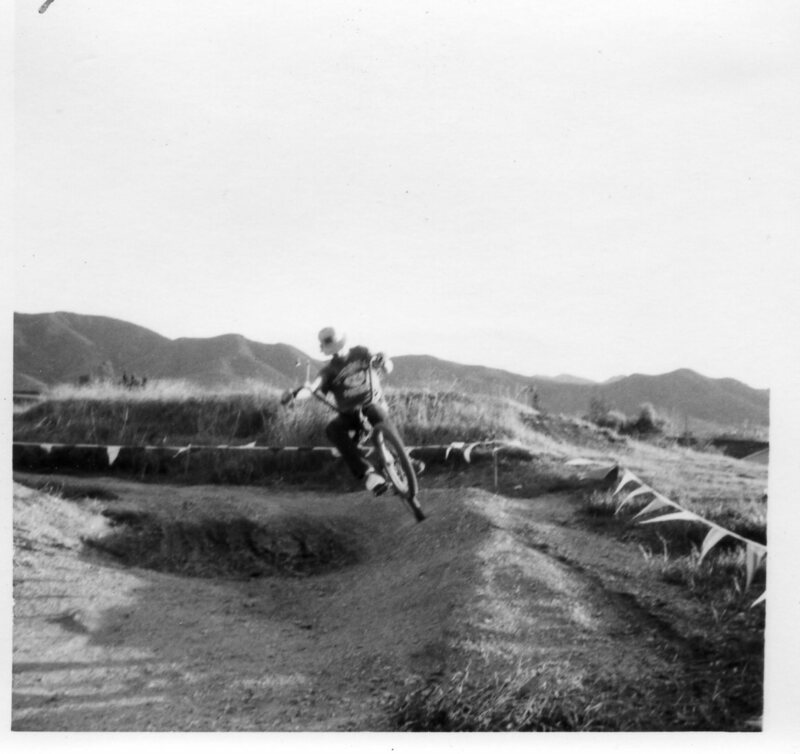 If you’d like to ride in the Verdugos that day, alternative options include Stough Canyon, Sunshine Canyon and Beaudry, which will all remain open. The course for the trail run is an out-and-back from Brand Library to the Brand bench. Currently there are over 300 runners signed up for this first annual event. Information on the event can be found at RunTheVerdugos.com. The event is being sponsored by the Glendale Community Services and Parks Department. 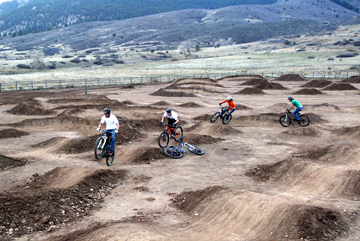 CORBA will have a booth at the event, gathering support for the Glendale Bike Skills Park project. Stop by and say Hi! 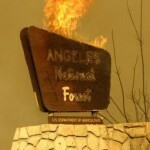 WHAT: The National Forest Foundation (NFF), government leaders and elected officials, conservation organizations and corporate sponsors are gathering to announce a new partnership to help restore the unique treasure Southern California has in the Angeles National Forest. 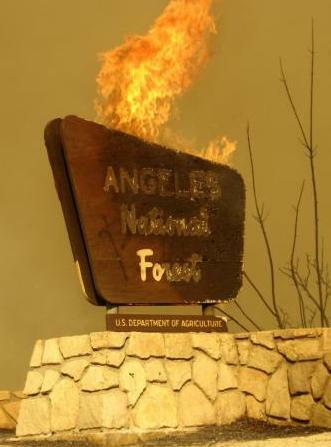 The Station Fire Burn Area, which harbors critical drinking water sources within the Angeles National Forest, is being restored with the help of the NFF and partners, to recover water quality, recreational opportunities and air quality for generations of Southern California residents. Speakers and presenters tentatively include USDA Under Secretary for Natural Resources and Environment Harris Sherman and NFF Chairman and Discovery Communications Chairman John Hendricks. A guided tour of the collaborative forest and watershed restoration efforts will be provided. WHEN: Friday, April 15, 2011, 10:00 – 11:30 A.M.
*Event organizers recommend appropriate clothes for variable weather conditions and terrain; there will be some walking on dirt and uneven surfaces. VISUALS: In addition to offering views of the restoration site, the event will present ceremonial weed removal and tree planting as part of future restoration. 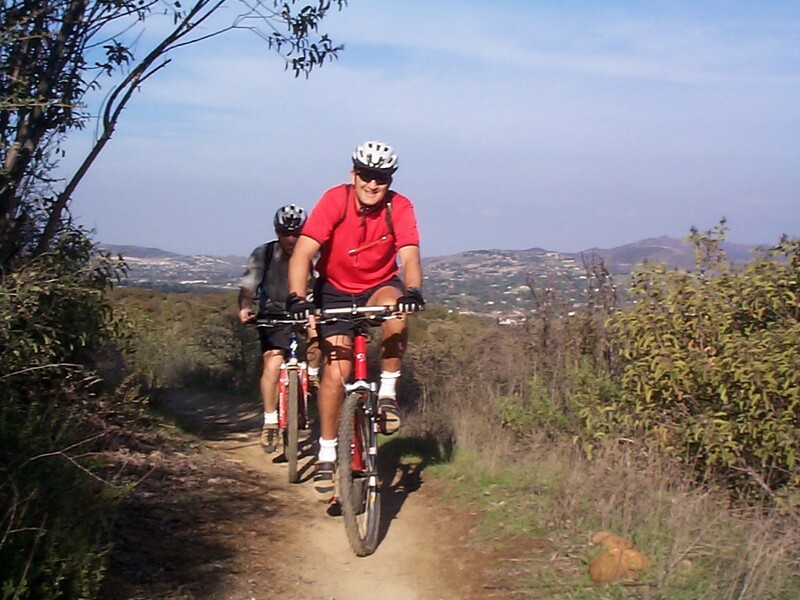 The Conejo Open Space Trails Advisory Committee (COSTAC) acts in an advisory capacity to the Conejo Open Space Conservation Agency (COSCA)and makes recommendations regarding design, implementation, construction, and maintenance of the open space trail system. COSCA’s trail system is primarily shared use, and the committee is comprised of members from all three user groups, hikers, equestrians, and bicyclists. 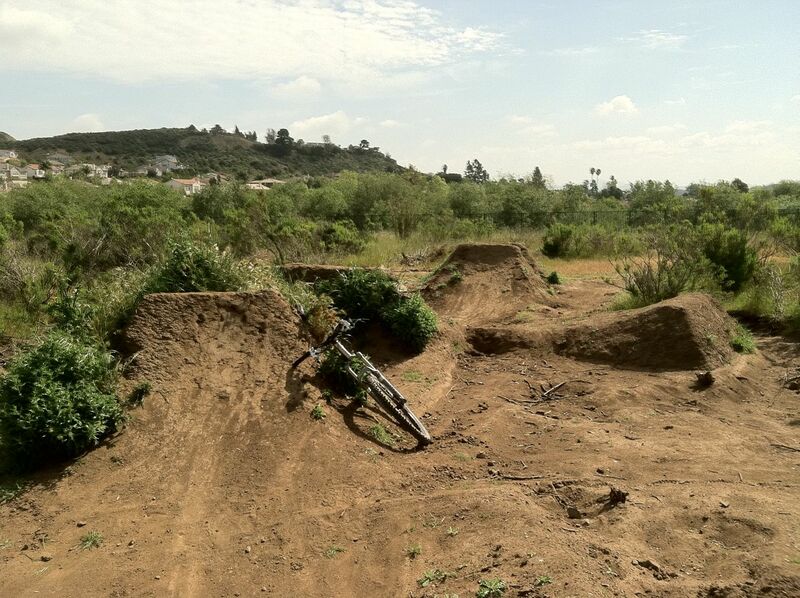 Other opportunities for involvement through COSTAC is COSCA’s Volunteer Corps and includes Trail Watch, Adopt-A-Trail, and Trail Patrol programs. Four three-year term vacancies are open. Applications must be received by April 18. For more information call Shelly Austin at 805-449- 2339 or saustin@toask.org. 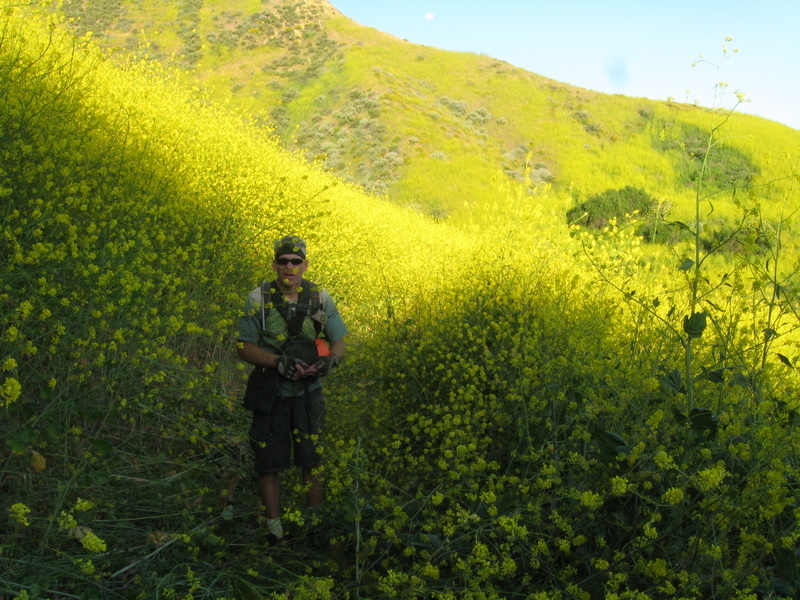 Today, March 28, the Mountains Restoration Trust will begin eradication of the invasive Mustard plants along the New Millennium Trail. Each year by early summer the mustard can choke off the trail and render it near-impassable. This is especially true after above-average rainfall seasons like we’ve experienced this year. This picture from April 2008 shows how the New Millennium Trail will likely look again if no eradication effort is undertaken.